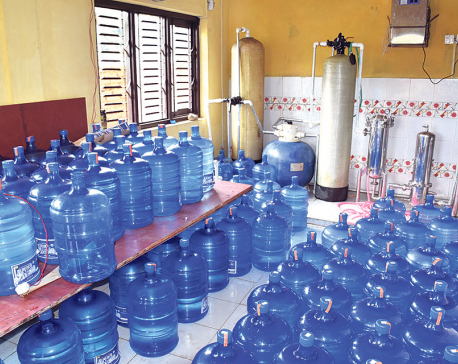 SAPTARI, April 27: Water crisis is deepening in the plains over the years. According to the locals, rivers and other water sources are fast disappearing which they attribute to destruction of Chure. They have urged the government to come up wise solution to the problem. “It is happening not in a single village, but everywhere here in the tarai,” said Ashok Acharya, a local of Krishna Sawar, Saptari. “We are extremely worried about the future. What will our children and grandchildren do if we are not able to save the environment and water sources now?” questioned the social worker. When Acharya was a kid, water was not a problem in his village. There were ample sources of water. Similarly, there were wells, tube wells, ponds where children would go and play to beat the scorching heat. “It's a very hot place. Water is very essential for the people here. When young, we were really lucky that we could find clean water in rivers and ponds to swim,” he reminisces. Now, water is getting polluted. Moreover, very little water seems to be remaining. No proper research has been done over it, but Acharya believes that Chrue has a lot to do with the 'disturbed environment'. “There is water scarcity everywhere. It's quite alarming but the concerned authorities are not serious about it,” he warned. He calls himself and eye witness of massive Chure destruction. He says that all this is happening due to the unwanted intervention in the jungles and rivers. “They have taken away immeasurable amount of trees, stones, sands from here. And it is going on unabated,” Acharya said. He assumes that 75 percent of Chure range has been destroyed and is ready to take the blame as a local. “Neither could we be honest nor brave. We, as a community, could not save Chure. We are now even a member of the forest conservation committee. Yet, we are not able to do anything significant to save the jungles and rivers,” he admitted. Water crisis has hit not only humans but also their cattle and wildlife in the jungles. Dozens of villages and towns are facing the same problem. 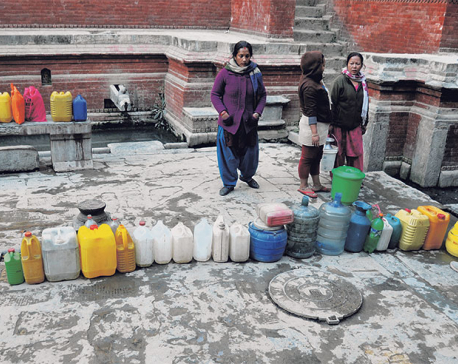 According to Dipendra Acharya, a local of Fattepur village, water problem has shifted from the hills to the tarai. “Ours was a place with plenty of water. Hills would be deprived of water because of the topography. But now, it seems there is no difference. We are facing huge water crisis now,” he said. “Water is scarce even when dug 20 to 25 feet below the ground. So, we really fear what would happen in the days to come,” he stated. According to the locals, water problem in the tarai begun since the last one decade and it has become severe in the last few years. On the other hand, floods have become more destructive and unpredictable. 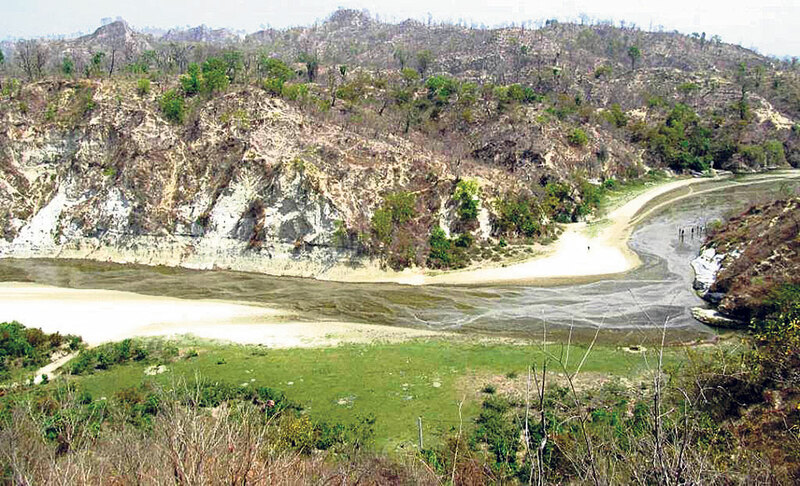 Last year, floods had wreaked havoc in the tarai. It was the worst catastrophe to hit the tarai in decades. Environmentalists have warned that things are going to get much worse if Chure conservation is not prioritized. Environmental degradation has taken toll on drinking water projects in Saptari as well. Amaha Drinking Water Project which came in operation two years ago has been affected as ground water and rivers are fast drying up. The water project was catering to the needs of around 150 houses. Now, it supplies water only once in three or four days, locals lament. Earlier, it was providing enough water to the people. Though the water project was set up by the government, the community had taken charge of it later on. Under this project, water from rivers are collected in a water reservoir and distributed evenly to targeted houses. “Now we get water only once in three or four days. Earlier, we used to get water every day. It has become so difficult to manage things now. When there is no clean drinking water, health hazards follow,” lamented Khagendra Karki, a local of Saptari. “We want the local government to do something about it. We need some options,” he added. In the rainy season, water pipes are washed away by floods. And in the dry season, there is simply too much of water shortage in the plains. Other water projects, wells and tube wells have also gone 'out of use' in the region, Karki reported. Locals have urged the government to come up with permanent solution to the water crisis.